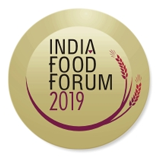 "Converging Point for Food & Grocery Industry Stakeholders"
India Food Forum is India’s most influential gathering of the country’s finest minds in food research, creation, distribution, marketing and retailing. The event is a powerful showcase of ground-breaking insights, analyses, products, technologies, emerging innovations, trends, and developments, in the business of food in India. 35 Conference sessions & masterclasses on every aspect of food innovation, marketing and retailing. 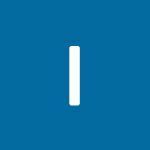 Over 100 new products and food innovations. Platform to connect with 500 of India’s most influential food retail leaders. The exhibitors of the event will be introducing some of the latest and widest ranges of products and servicing such as : Packaged Food,Imported Food & Goods,International Brands,Ready to Eat,Ready to Cook,Beverages: Alcoholic / Non- Alcoholic,Bakery And Confectionary Products,Commodities: Grains, Cereals, Flours , Edible Oils , Pulses,Dry Fruits , Saffron etc.